‘Mike the Bike’ Hailwood, a TT Legend remembered. The roaring of engines along the scenic beauty that is the Isle of Man mountain circuit could only signal one thing this week. The start of the 2018 Isle of Man TT races, and boy were the fans in for a treat. Not only did they see the arrival of the greatest modern day road racers hitting the island roads but they were also graced with the arrival of a very special pair of circulating coins depicting the legend that is Mike the bike Hailwood. 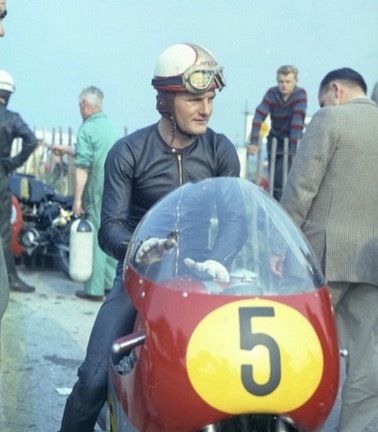 Known as one of the most successful TT riders of all time, Hailwood was regarded by many as the greatest rider ever to race on the Mountain Circuit. Fans worshipped him and he repaid them with an 18-year career which was nothing short of awe-inspiring. This year a special pair of £2 circulating coins have been issued by the Isle of Man in a strictly limited volume. 2018 marks the 60th anniversary of Mikes first ever TT when he debuted on his Norton however this year also marks his triumphant return to the TT in 1978. During his racing career he achieved no less than 14 TT victories and 9 World Championship titles. Above: The final designs prior to the creation of the dies. The designs depict action shots of Hailwood navigating the TT course encircled by a laurel wreath which represents victory. The inscriptions reads ‘MIKE HAILWOOD’ with the numerals ’40 years’ and ‘60years’. Both the designs have been officially approved by Buckingham Palace as well as the Mike Hailwood foundation.